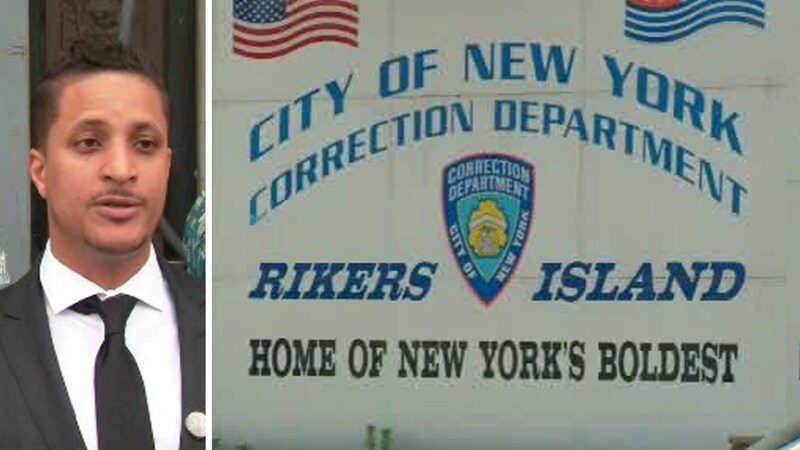 NEW YORK (WABC) -- As New York City moves ahead with its plan to close Rikers Island, a group that's pushing to accelerate the plan is speaking out on Wednesday. Akeem Browder, the brother of former inmate Kalief Browder who committed suicide after his imprisonment in the notorious jail, is part of a group that wants to close Rikers within three years instead of the current plan of ten years. "Kalief didn't commit suicide because of the walls on Rikers," Akeem said. "So when we're saying close down Rikers or shut down Rikers, we're also saying we want accountability. Accountability for those officers that did wrong by our kids, our brothers, our family and Kalief." Kalief was arrested at the age of 16 for allegedly stealing a backpack and spent three years at Rikers where he was repeatedly attacked while awaiting trial. After his eventual release, Kalief committed suicide in 2015. His death led to jail reforms in New York and in federal prisons across the country. Akeem currently leads a group called "Exodus," which is aimed at helping former inmates transition back into society.